DAN GEORGE, MD, remem­bers one of the first times he helped someone live longer. He was treating a patient with metastatic kidney can­cer who enrolled in a clinical trial of a new drug and was one of the first people in the United States to receive it. “He could only tolerate the drug for about three weeks; then he was too sick to take it any longer,” says George, professor of medicine and surgery and director of geni­tourinary oncology at Duke Cancer Institute. “At four weeks we did the imaging, and his tumors had com­pletely gone silent.” In other words, they had no blood supply. That experience and countless others like it in George’s 20 year career are what drive him at Duke to pursue the clinical research studies that no one else will, and to push for treatment options when others may say there is nothing left. This drive to steal time back from cancer, held by all of George’s colleagues at the newly launched Duke Prostate and Urologic Can­cer Center, which George directs, means that some patients have formed rela­tionships of a decade or more with their doctors. It also means that many of those pa­tients and their families have been inspired to give back. Durham Resident Sam Poley says that shortly after he met George, he felt inspired to help him. George treated Poley’s father, Neil, for prostate cancer, which he battled at the same time as congestive heart failure. “He always addressed my dad not as a patient, but as a human being. When my dad would be hospitalized for heart issues, Dan would go see him,” Poley says. 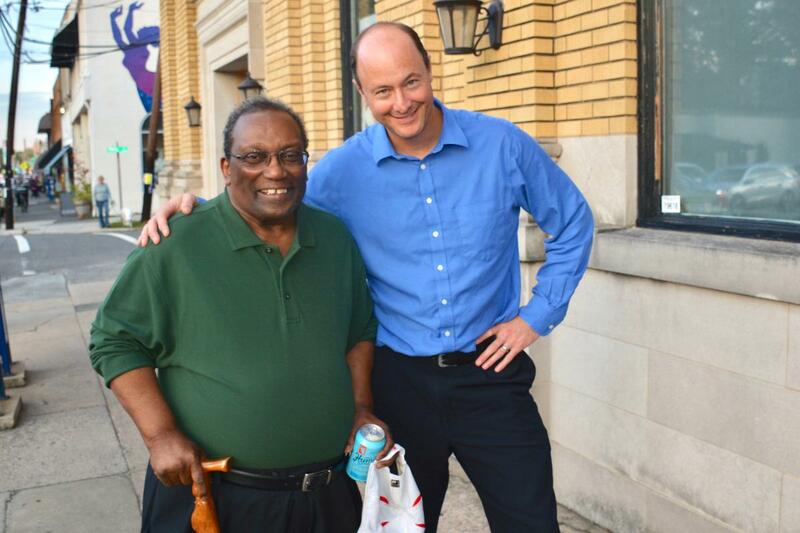 Poley found his chance to help George when he learned about a clinical trial that George wanted to pursue. Based on research conducted in the lab of Donald Mc­Donnell, PhD, chair of the Department of Pharmacolo­gy and Cancer Biology, the idea for the trial was simple. Prostate cancer cells soak up copper. In the lab, if scientists give the cancer cells all the copper they want, then treat with a copper-chelating drug, the drug seeks the cancer cells out and kills them. It so hap­pens that a copper chelator called disulfiram is already approved for treatment of alcoholism. George wanted to try disulfiram in patients with advanced prostate cancer. But most pharmaceutical companies weren’t interested. Disulfiram is an old drug, and there’s not much profit in developing it for a new use. A marketing professional, Poley launched a fundraising campaign, Give1forDad, in 2015, shortly before his father died. “It became clear that my Dad wouldn’t benefit from this treatment, but if it could help someone else, I knew he would want that,” he says. By early 2016, Poley’s campaign had raised enough to enroll the first patient in the copper trial. Poley has kept right on raising funds. He encourag­es other people affected by prostate cancer to share their stories on his website, give1fordad.com. 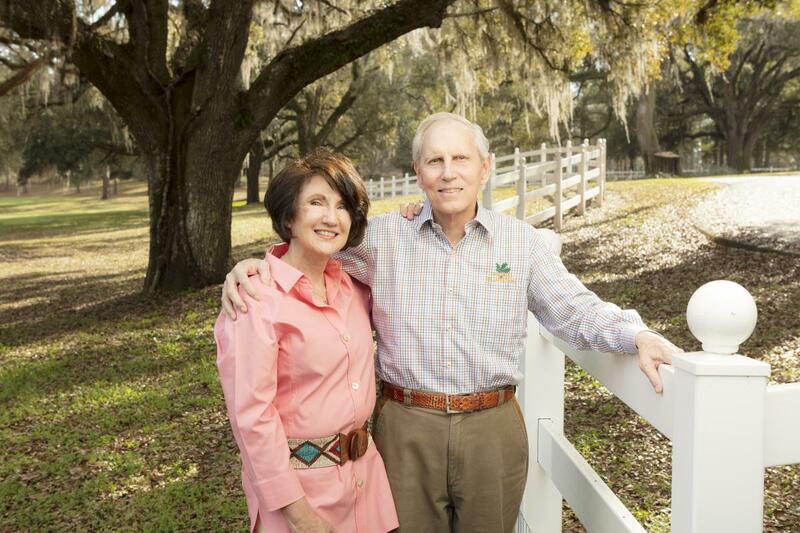 The copper trial as well as other research has benefit­ed from another patient of George’s who knows a bit about fundraising because of his profession—TK Wetherell, PhD, former president of Flor­ida State University. Wetherell was treated for prostate can­cer at MD Anderson Cancer Center for a while, but he came to Duke for the focus on the individual patient. Wetherell and friends or­ganized a dinner and auction in Florida, and donated the proceeds to the Jimmy V Foundation, which matched them. The foundation gave George grants to support the copper trial as well as a small trial, for prostate cancer pa­tients, of a modified poliovirus treatment that has produced dramatic results for some brain tumor patients. 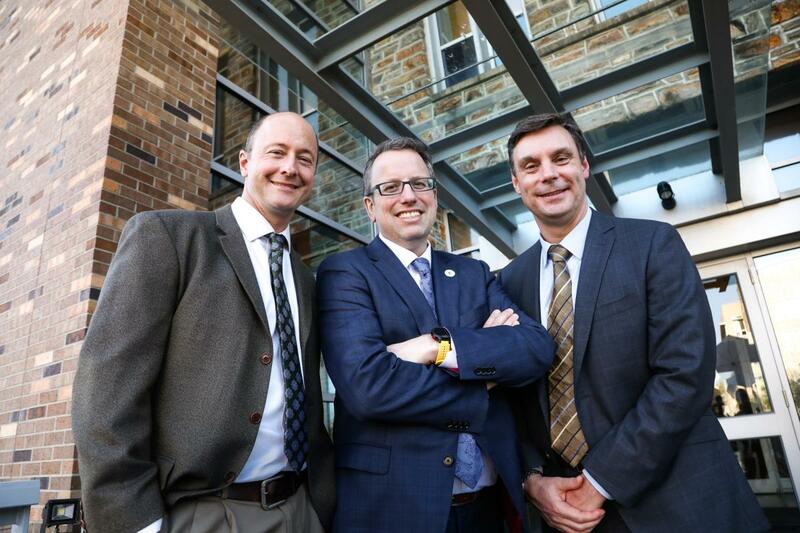 It took support from Poley and Wetherell, as well as the Peter Michael Foundation and a small biotech startup called Cantex Pharmaceu­ticals to get the copper trial to its current point of having enrolled five patients. “This is a study that would never happen if we didn’t drive it. To me that is ultimately the research that we want to be able to do at Duke—the studies that no one else can or would do,” George says. There’s no guarantee that either of these treatments will work for prostate cancer. But what’s important to George’s supporters is the pursuit of all available avenues. “That’s what I like about Duke; they look for ways to try and figure this thing out,” Wetherell says. The large number of options for advanced prostate cancer is what drew James "Jimmy" Barnes to Duke, after having been treated at UNC-Chapel Hill for more than a decade. When Barnes first met ANDREW ARMSTRONG, MD, MSc, he told Armstrong that one of his goals was to see his first grandchild born. Barnes’ granddaughter, Anika, is now 10 years old. Barnes has also gotten to know his second grandchild, a boy named Sage; he’s 5. Like many African Amer­ican men, Barnes was struck by prostate cancer young, at just age 47. He wants to keep that from happening to others. 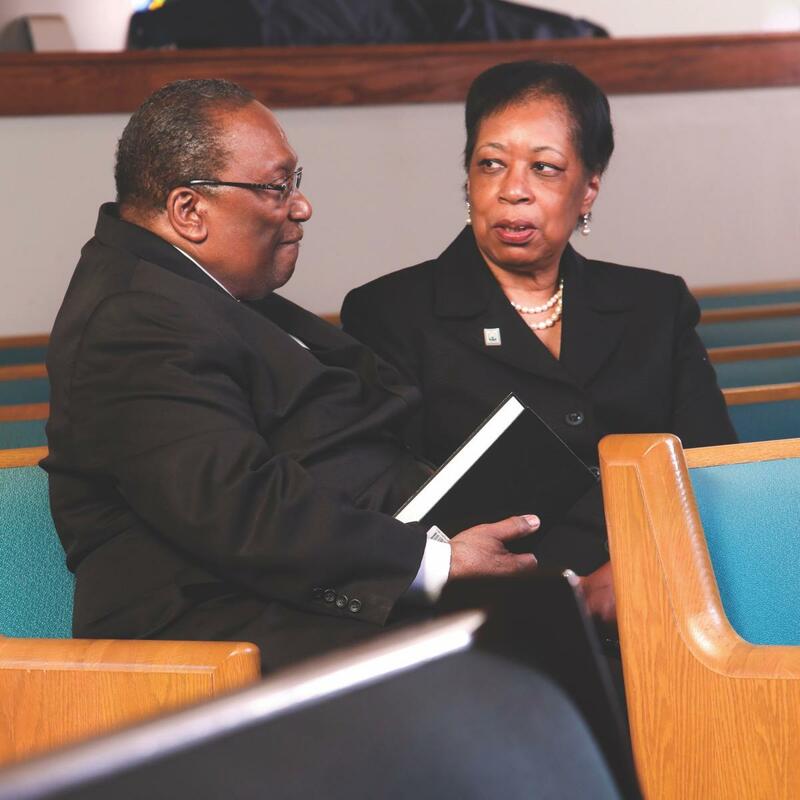 A deacon at Union Baptist Church, one of the largest African American churches in Durham, Barnes serves on the church’s cancer support committee. He arranged for Armstrong to speak at the church’s pros­tate cancer symposium, about new treatments on the horizon and the importance of screening. Barnes has taken a suc­cession of treatments that have helped reduce pain and increase his mobility. Barnes walks with a cane now but says that the more physical­ly active he is, the better he does. In the research setting, Armstrong uses these cells to track the severity and biology of prostate cancer and to predict which pa­tients will respond to which treatments. In a study of patients with advanced pros­tate cancer published in 2016 in Clinical Cancer Research, Armstrong’s team showed that tracking genetic mutations in circulating tumor cells enabled them to predict who was resistant to two drugs, enzalutamide and abiraterone. Results from a larger, multicenter study called the PROPHECY trial will be presented later in 2018. In the radium-223 trial, Armstrong’s team found that circulating tumor cells in men with advanced prostate cancer had developed genetic mutations and adaptations that re-programmed tumor cells to behave like bone-forming cells. Scientists call this process “osteomimicry.” These mutations program the cancer cells to travel to the bone and to form new bone. Armstrong presented these findings at the 2018 GU American Society for Clinical Oncology symposium. The fact that metastatic prostate cancer cells mimic bone also provides clues as to how radium-223 works. Armstrong explains that in the chemical periodic table, radium is right underneath calcium. Because the cancer cells are behaving like bone cells, they see the radium as calcium and absorb it. Finding out how new treatments work and for whom they work best is a priority for Armstrong, George, and the new center they’ve launched. Most often, when new treatments are first approved, they have been tested only in patients with advanced disease. But that doesn’t mean that is who can benefit the most from them. Several of their studies have aimed to understand if patients do better if some of the newer drugs are used earlier in the disease process. “It’s one thing to get a drug approved, but to really understand how best to use it is another,” George says. What if instead of stealing six months, a year, or ten years back from cancer, they could take it all—stop the cancer from ever recurring? “If we even think we can do that, then my goodness, we have to try,” George says. African American men are diagnosed with prostate cancer at a higher rate than white men, and they die from it more often. Socioeconomic factors and lack of access to care don’t explain all these differences. Steve Patierno, PhD, deputy director of Duke Cancer Institute, Jennifer Freedman, PhD, an assistant professor of medicine, and colleagues have found that tumor aggressiveness can be traced to differ­ences in gene expression (how genes are translated into proteins) that are found more often in African American men. The work was published in June 2017 in the journal Nature Communications. The scien­tists are exploring further, funded by the Department of Defense, with the goal of personalizing treatments to reduce health disparities and improve outcomes for men of all races with aggressive disease. These articles originally appeared in the Spring 2018 issue of Breakthroughs, a magazine produced twice yearly by Duke Cancer Institute Office of Development. Subscribe to Breakthroughs.